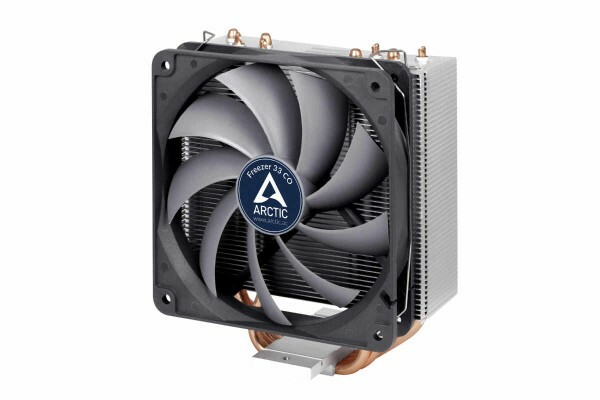 The Freezer 33 CO is based on the ARCTIC Freezer i32 CO, but features several improvements that boost performance and further reduce noise. Thanks to the award winning cooling performance, the Freezer 33 CO is the perfect gadget for PC enthusiasts looking for an affordable solution for the CPU cooling. The contact surface of the Freezer 33 CO heatpipes does not cover the full protection cap, but, more importantly, are right where the processor DIE is and cover even the largest versions (18 core) completely. This leads to maximum performance.